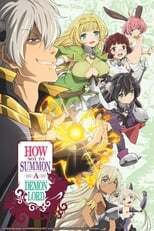 Where can you stream How Not to Summon a Demon Lord? On 2018-07-05 Action & Adventure/Comedy TV Series How Not to Summon a Demon Lord first aired on iQiyi. Written and created by Murano Yuta & Kazuyuki Fudeyasu, and produced by AJIADO, How Not to Summon a Demon Lord will return and was last broadcasted on 2018-09-20.